constructed with 18mm MFC and supplied with a choice of coloured trays. 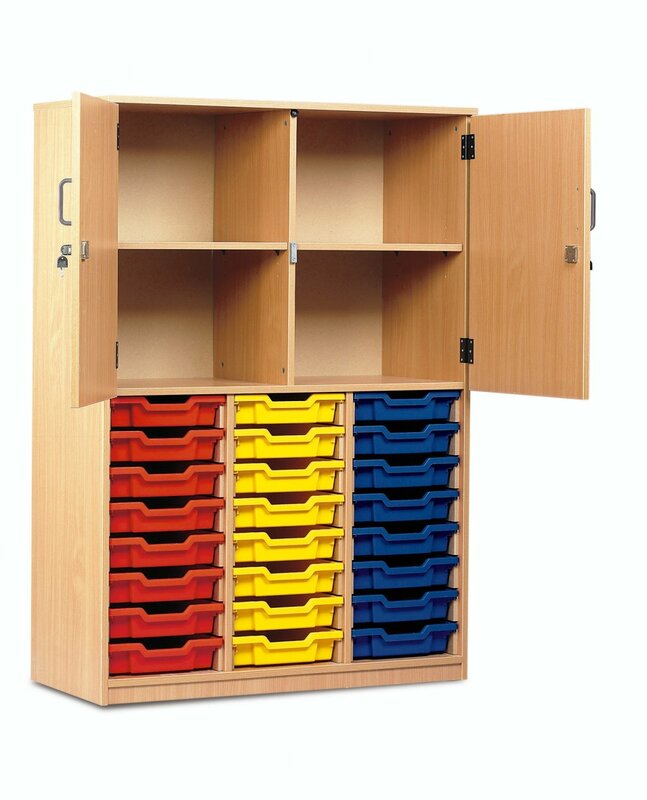 Unit supplied with twenty four shallow trays and four compartment shelves in the upper section. Half lockable doors in the upper section.